When choosing and packing, there’s much more to consider than just attempting to make everything fit in the available space. Quite often, consumers disregard choosing the right boxes – an underestimated necessity. Choosing the right boxes is extremely important, not only for organizational purposes, but also for keeping belongings safe, secure and dry. Boxes vary in size and quality and each type has different applications and characteristics. Don’t be someone who has the mentality, “A box is a box.” Before you can choose boxes, you must understand the different types available. Let’s unbox the lineup, pun intended. Used Cardboard boxes are the obvious choice amongst storage seekers due to they’re inexpensive, lightweight and easy to pack. From an environmental standpoint, cardboard boxes are also easily recyclable for future purposes. If you plan on storing long term, cardboard may be the best choice. 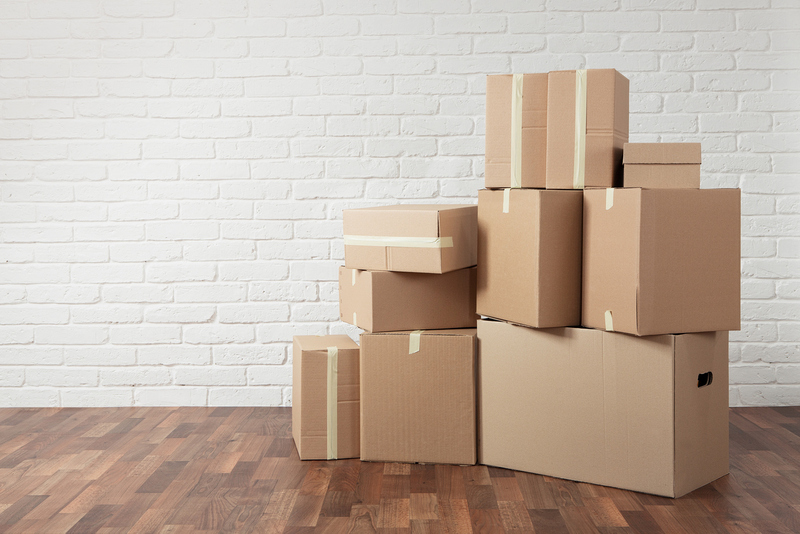 If your storage space is temperature controlled, cardboard boxes may be the best option. Specialty Gaylord boxes are often used for belongings that are fragile or valuable because they are specifically designed to safely store a specific item. Some various examples of items that may be stored in these boxes are dishes, decorations, art, flat screens, etc. The biggest benefit of using specialty storage is its ability to make difficult things easy to pack. Generally, boxes range from small to extra-large in size. A standard small box is about 16 x 12.5 x 12.5, or 1.5 cubic feet. Usually small boxes are designed to hold small items, sometimes slightly heavier, that may cause issues in larger boxes. Medium boxes are about 18 x 18 x 16, or 3 cubic feet. Use these to store larger items that don’t have to be packed as tightly. Large boxes are typically 18 x 18 x 24, or 4.5 cubic feet. They’re good for blankets, lamps, small kitchen appliances, and other various linens. They typically can hold up to 65 pounds, so be wary to not over pack. Some other tips to consider when packing are to always think quality, stack wisely, don’t forget to label, and fill in the gaps. Keep the above factors in mind when choosing storage boxes and your things will be safe, secure and easily accessible. For more information regarding choosing the right reusable boxes and box size visit Leader Box or give us a call at (773) 890-4500! We’re always here to help!